Cycling Accidents We Provide Tailored And Innovative Solutions. Cycling is increasingly popular in Scotland as an excellent means of travel, an enjoyable pastime and as a healthy way to relax. However, cyclists are vulnerable to injury when compared with car drivers and other road users and are susceptible to road traffic accidents by virtue of their exposed position on the road and the lack of protective features inherent on a bicycle. Have you been involved in a cycling accident in the last three years? Miller Samuel Hill Brown can help. Contact our specialist personal injury team today to talk through your circumstances. Sometimes no amount of safety precautions can account for a reckless driver, poor road surface conditions or faulty equipment. When cyclists are involved in accidents, injuries can range from cuts and bruises to broken bones, to serious head and spinal damage. Not only are cyclists more vulnerable to injury when compared with car drivers and other road users, their injuries are more likely to be serious. As such, the levels of compensation may be greater for cyclists involved in serious or life-changing road traffic accidents. Right-hand turns: the single most dangerous situation for cyclists occurs when cars or other road users are pulling into or turning across the path of cyclists. Usually, the turning car strikes the cyclist when they are going straight through a junction or are passing another car. Car doors: drivers or passengers opening vehicle doors into the path of oncoming cyclists can cause serious injury to the cyclist. Drivers and passengers may not see the cyclist or may not think to check prior to opening their car door. Cyclists are often not in a position to swerve to avoid the car door, for example where there is oncoming traffic driving in the opposite lane. Changing lanes: another common cause of accidents involving a car and cyclist arises when a car changes lane, veering into the space occupied by a cyclist. Cyclists can easily fit into a driver’s blind spots and a driver looking for cars may not think to also look for cyclists. Collisions from behind: although not as frequent, cyclists stopped at junctions and roundabouts may not be seen by other motorists and are at risk of being hit from behind. There is little a cyclist can do to avoid such an accident occurring other than wearing bright, reflective clothing that highlights their presence on the road. HGVs and lorries: cyclists are vulnerable to collisions with HGV and other large vehicles turning left and failing to see cyclists waiting in their blind spots – this is particularly common at traffic lights and junctions. Cyclists can suffer serious and life changing injuries as a result of such accidents due to the trauma experienced when colliding with such large and heavy vehicles. Failing to give way: a driver failing to see or give way to cyclists at junctions and on roundabouts is common. Drivers may not perceive cyclists as road users, or may assume that car drivers have priority or right of way above cyclists. Uncertainty as to the rules of the road when it comes to cyclists can give rise to accidents. Due to the smaller size and less stable nature of the bike, roads that have not been gritted, faults in the road surface, uneven heights between lanes and other irregularities or unexpected objects in the road pose a serious safety threat to cyclists. If you have been involved in a cycling road traffic accident in the last three years that was not your fault you may be able to make a claim against the individual, company or local authority responsible for the accident or the area of road on which the accident occurred. If your claim is successful your compensation award may take into account your pain and suffering, past and future loss of earnings and medical care costs. Depending on your situation, you may also be due compensation for any adjustments made to your home as a result of your injury and childcare costs. 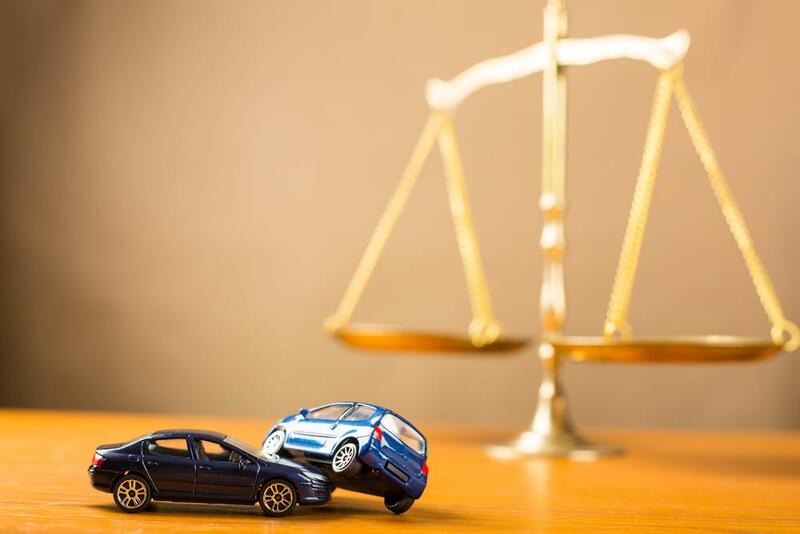 We understand that dealing with the physical and emotional aftermath of an accident can be difficult, that is why it is beneficial to rely on legal professionals to get you the compensation you deserve. With this part of the process in capable hands, you and your family can concentrate on your recovery. Cycling accident injury compensation claims can be complex, requiring specialised legal expertise. Our solicitors have represented cyclists involved in different types of accidents while riding for sport or as a hobby, mountain biking, cyclists riding professionally and cyclists commuting to work. Our experts offer a personalised approach – we will meet with you to discuss your case and guide you through each step of your claim. You will be appointed a dedicated personal injury solicitor and claim handler who will be your point of contact throughout. Our comprehensive fee structure means that there will be no hidden charges or expenses. Your recovery is our priority and making a claim can be a straightforward process with the guidance and expertise offered by our solicitors. If you have been involved in a cycling accident in the last three years, contact our expert personal injury solicitors today on 0141 221 1919 or fill out our online enquiry form.